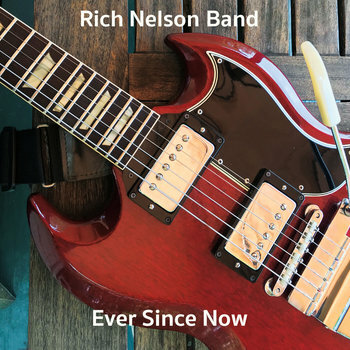 After playing in many bands for many years, Rich Nelson recorded his first solo album in 2018. Check out 'Ever Since Now' here, or on iTunes, Spotify, etc. The band has been playing shows since late 2018, and they are on a roll as they play live and get ready to record their second album. The band features Robert George on drums, Bob Bencze on keys, Stephen Cohen on bass, and Tim McCall on guitar. Come see them soon! Sign up for email alerts for info on gigs!